Do you own a Lincoln vehicle? Have you been thinking about owning a Lincoln vehicle? Either way, we’re here to explain some amazing offers that are exclusive to the Lincoln brand, and come complimentary when you purchase any vehicle from their lineup, aka the extras. Lincoln has really thought of it all. They know that everyone dislikes taking their vehicle in for service – for regular maintenance or larger repair appointments. They’ve created an awesome service that shows they really care and value your time. When it’s time to take your vehicle in for service, at a Lincoln dealership, a concierge is sent to pick up your vehicle and provide you with a Lincoln loaner vehicle. You are free use the vehicle as your means of transportation until the work is done to your current vehicle. While the work is being done, we provide updates and keep you informed about any information on your vehicle. This can be done conveniently through text, email, or phone call. To complete the experience, we’ll deliver your washed and serviced vehicle back to you when everything is complete! Do service appointments get any easier? If you’re vehicle shopping, chances are, you’re doing quite a bit of research. When you’re shopping specifically for a Lincoln vehicle, the services are endless. For example, you receive access to a concierge! If you have any questions or would like to chat with someone to fill in any research gaps, Lincoln provides a personal shopping advisor who is available Monday to Friday from 8:30 to 8:00 EST. You can contact them at 1-800-387-9333, email, or live chat. If you’re not looking for a new Lincoln and already own one, you can still take advantage of the awesome service benefits. The concierge can also help you with roadside assistance and other vehicle solutions. Apps aren’t often associated with a personal feel to them, but this is exactly how Lincoln created their Lincoln Way app. It’s a way to access the personal concierge, find parking, see local fuel prices, and operate your vehicle remotely, all from the convenience of your smartphone. 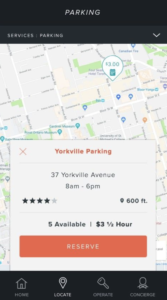 You can stop circling the crowded streets of downtown and find the perfect parking spot while using the app. An interactive map can show you parking spots with an estimated distance as well as info about parking fees that may apply on that street. Check things like your current fuel level and give yourself the peace of mind to lock and unlock your vehicle on demand, from anywhere. 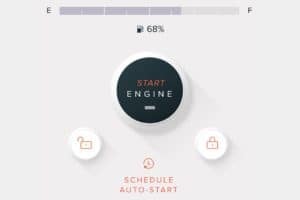 You can even start your vehicle with the push of a button (on your phone) or schedule an auto-start. How perfect would that be on cold winter mornings? The Lincoln company has really thought about their customer’s life as a whole when they created these great features. In fact, they created The Lincoln Way campaign as a viewpoint that considers the entire life of the Lincoln owner, rather than a relationship that ends after your purchase. With all these extra features, Lincoln makes it a clear choice to own one of their vehicles.